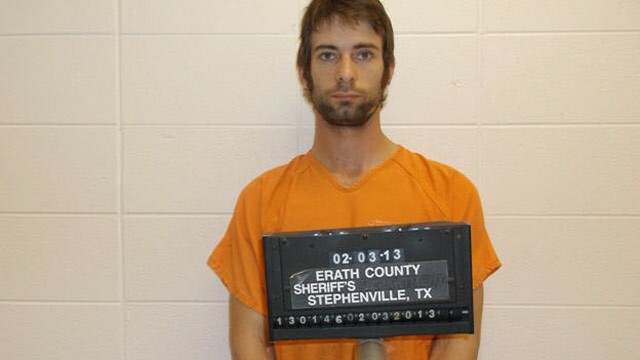 To my untrained eye this mugshot looks shooped. Any photo analysts care to weigh in? I find this story too sensational for reality. The murder victim (two first names) Chris Kyle also happened to be a famous Navy SEAL who wrote an auto biography about how he is the biggest terrorist sniping hero ever gets shot by a mentally ill war vet at a gun range. Right after Obama is pushing for more mental health screenings/gun control and also after the release of a Hollywood movie worshipping SEALs, etc. It just seems like too much to me. Also now Ron Paul supposedly tweeted about it causing a huge controversy. It's just so obviously being hyped. I agree. My eye is untrained too, but I enlarged this photo in Windows Live Photo Gallery to look at the pixels, and there are some serious issues. His neck is rather odd too. If someone with more experience could take a look at it, I'd appreciate it. There are many online images of this suspect that are suspect... Like this one. 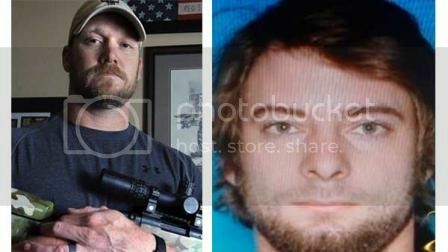 Once again we are shown two photos of the shooter that don't jive... I matched the eyes as best I could for positional reference. 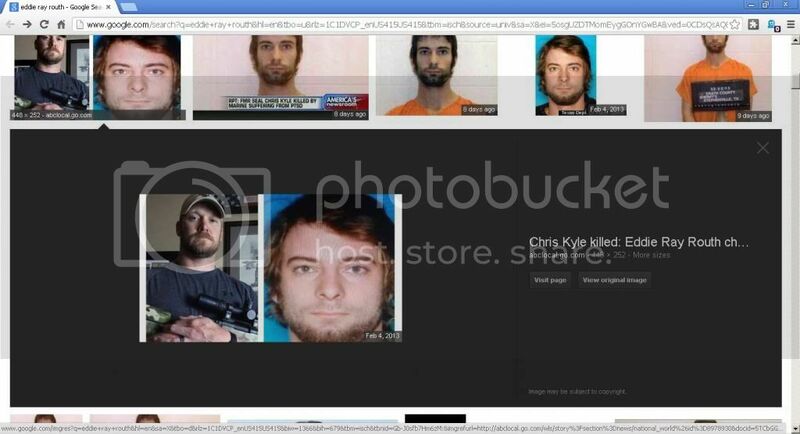 The photo and screen shot are taken from Starbucked's sources. Also, here is an interesting tidbit. Kyle was being sued by Ventura! Whats with the guys left arm? His arm doesn't look bent like its supposed to since its the arm holding up the sign. It looks like its completely broken off. I'm surprised that wasn't the first thing someone noticed. I don't think he's holding the sign, it appears to me to be sitting on a separate contraption. Winston'sMyth wrote: Once again we are shown two photos of the shooter that don't jive... I matched the eyes as best I could for positional reference. Try correcting the aspect ratio of the image you're trying to overlay as your comparison is not fair or reasonable at the moment. Then we'll see. I used Google images to find a better second photo of Eddie instead of a video screenshot and found two versions. I included both in this post's video. There was only one photo that matched the "aspect ratio" presented in my first video.